Apple faced an unprecedented flood of iPhone battery replacement requests last year as it offered a big discount to users impacted by the company’s questionable performance throttling practices. That understandably led to fewer iPhone upgrades than usual, but if for some reason you didn’t take advantage of Apple’s limited-time “deal”, there’s still a way to swap your old battery for a new one at the same low price of $29. That means you can still purchase a replacement battery for your iPhone SE, iPhone 6, 6 Plus, 6s, 6s Plus, 7, 7 Plus, 8, and 8 Plus at only $29.99 a pop, compared to the $49 out of warranty fee currently charged by Apple. iFixit even has owners of the ancient iPhone 4s, 5, 5s, and 5c covered, with respective replacement batteries, tools, and guides costing anywhere between $16.99 and $29.99. The obvious downside is you need to perform the “repair” yourself, which doesn’t feel very convenient, although it’s also nowhere near as difficult as some people think. 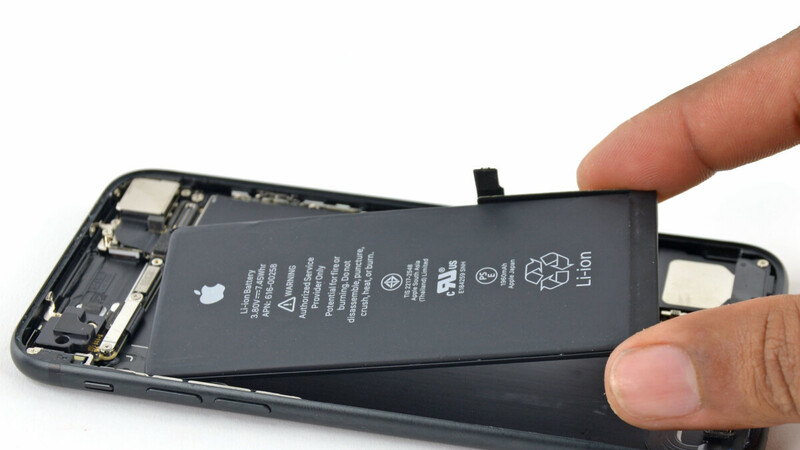 Another small inconvenience is the lack of support for Apple's iOS 11.3-introduced Battery Health feature with aftermarket batteries like the ones sold by iFixit. That simply means your operating system will not be able to display "health" information, with the actual cells guaranteed to "perform properly", at least at first. A new battery could significantly extend the life of your old, increasingly slow iPhone, especially with the latest iOS version supporting models going all the way back to the 5s. Naturally, Apple would much rather you buy a new device, as sales numbers and overall revenue appear to have been badly harmed by the 2018 discounted battery replacement program. "although it’s also nowhere near as difficult as some people think." I can promise you 90% of people will screw it up, damaged other components in the process and just generally won't be able to get it put back to how it was. As a currently Apple employee and repair technician in a retail store you guys SHOULD NOT promote this. There no esd safety talked about and a iPhone 5-5c battery is the most difficult of batteries to repair in this specific phone. Not to mention the batteries being sold are third party NOT apple APPROVED BATTERIES and are not safe to be used in Apple phones and not to mention diagnostics can’t even be run on the device after the repair to insure it’s done incorrect yes batteries are 49$ to repair at a Apple store but it insures it’s done correctly and if the device is damage by us during the repair we replace the device for the quoted price of 49$ or what ever the technician quoted. Yes it is as difficult as people think and it’s very easy to puncture a battery and cause a heat event to occur the gas in the cells is harmful if inhaled and things can catch on fire if a repair is done wrong. Not to mention static electricity can kill the entire phone if they are not grounded to a esd mat. I'm just going to giggle as people start complaining about blown backlight ICs from doing it themselves. I can't comment on the quality of iFixit's batteries, but there's a pretty good chance they're refurbished or remanufactured, in which case, you're just throwing money away.